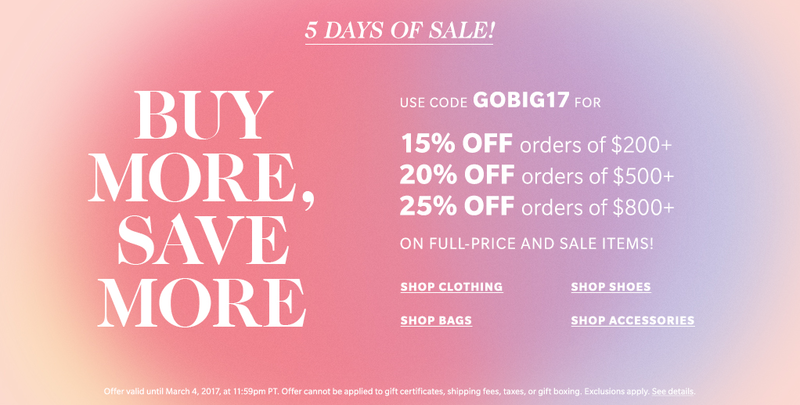 I also wanted to quickly share about an awesome sale over at Shopbop (that I'm sure you've heard about by now haha)! Shopbop carries mostly high-end brands, but there are still a lot of reasonably priced brands and items there, and it's one of my favorite places to order from (their free 3-day shipping is the best 🙌). Some brands to check out are Quay, Le Specs (I have 2 pairs from them), BB Dakota, J.O.A. and Levi's!